Of the more than $37.8-billion invested in education technology companies since 1997, 62% was invested over the past three years alone. Set to reach a value of $252-billion by 2020 - EdTech is a booming industry. Leading the way in innovating how we learn and teach are young entrepreneurs, who experienced the limitations of the old system, while experiencing the technology revolution first hand. 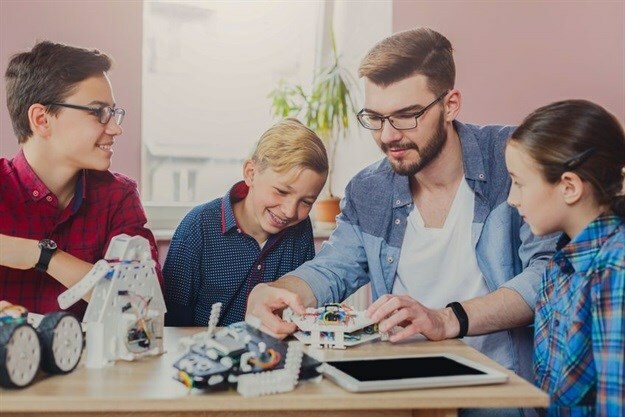 “Enabled by technology, young entrepreneurs, are creating powerful new tools for achieving the best outcomes in education,” says Rebecca Pretorius, country manager for university applications mentoring company Crimson Education. Education is ripe for disruption: With a system still largely modelled on the industrial-age classroom, education is a large sector that has seen very little transformation to date. Young people are leading the way: The workplace has changed and so must the education system to meet it - recent high school graduates are well placed to identify the gaps and failings, as well as fill them. Breaking down barriers: More and more students from around the world are gaining access to top-ranked campuses, where diversity of background has become an asset rather than a hinderance. EdTech enables personalisation: With tech tools, we are better able to adapt strategies and syllabi to suit each student, while expanding access to new resources online. Enthusiasm: EdTech entrepreneurs tend to be very aspirational, energised and ambitious – they bring a Silicon Valley drive to education. Collaboration: EdTech isn’t about replacing mentors and educators, but better pairing and utilising them to arrive at the best possible outcomes for students. It disrupts the single teacher approach, supporting productive peer and group work. Pooling of knowledge: Tech platforms allow individual students to tap into existing knowledge and experience, without having to recreate something from scratch. Leaning into each of the above trends, Crimson Education was founded in New Zealand in 2013 by two high schoolers, Jamie Beaton and South-African born Sharndre Kushor. Aged 23 and 24 respectively, they oversee the companies’ operations in 30 cities worldwide. The education mentoring company connects high schoolers with a virtual network with experts in admissions processes for top-ranked universities in the States and United Kingdom; ”We connect people who have walked the walk to the likes of Harvard to students who want to follow in their footsteps. 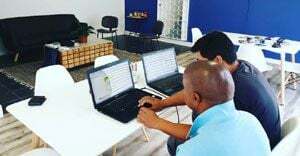 All our clients need is an internet connection,” says Pretorius.